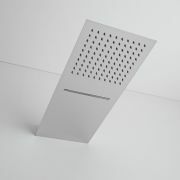 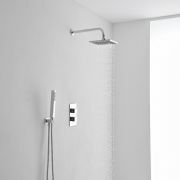 Minimalist and modern inspired bathroom shower designs. 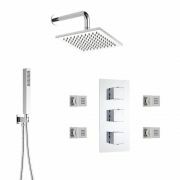 An innovative and stylish shower kit collection that will enhance any bathroom. 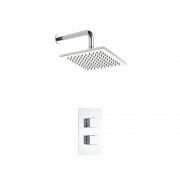 Co-ordinate with taps and heated towel rails for a chic bathroom look. 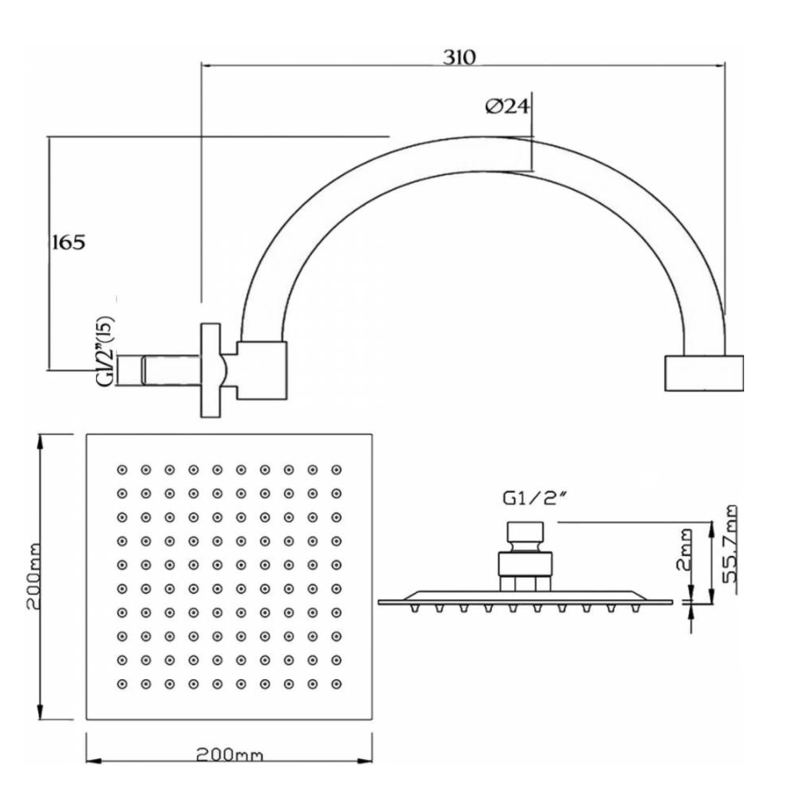 Dimensions: : Length of arm 310mm and Head diameter 170mm square. 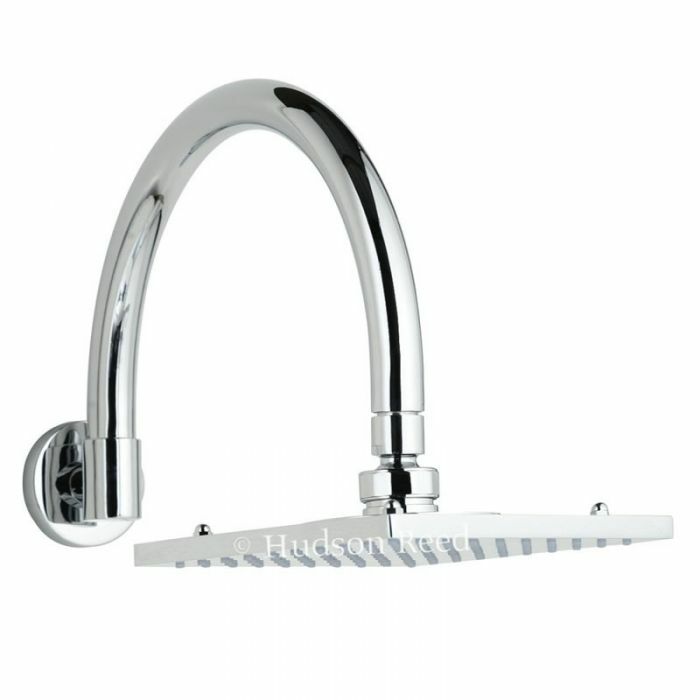 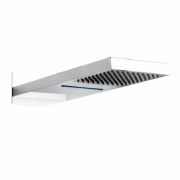 All Hudson Reed fixed heads are suitable for use with the ceiling mounting arm, which can be found in the Extras section.